Wilmarie Janse van Rensburg is a force to be reckoned with in the field of motorsport in South Africa, and is known as the SAspeedqueen. Using the context of her achievements in motorsport and business, Wilmarie shares her lessons that she learnt from racing on the track, that can be translated into life and business skills, and specifically in how we express ourselves in challenging environments. She covers with Telana topics like speaking up, focus and passion, assertiveness, finding inner strength and being consistent. When thinking of women in motorsport in South Africa, one of the first names to come up is that of Wilmarie Janse van Rensburg. For over 17 years Wilmarie has been participating in motorsport at regional, national and international level. Some call her Superwoman while she’s also earned the title of being “the Fastest woman on two wheels in South Africa”. Wilmarie’s racing and determination over the years have inspired both men and women of all ages. 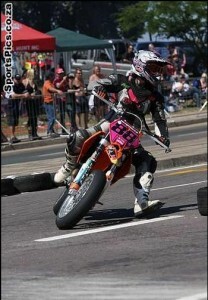 As a young sixteen year old she started working to pursue her dream to race. As the only female racer at the time, this took some physical and mentally challenging moments to earn her place as a respectful and competitive competitor. 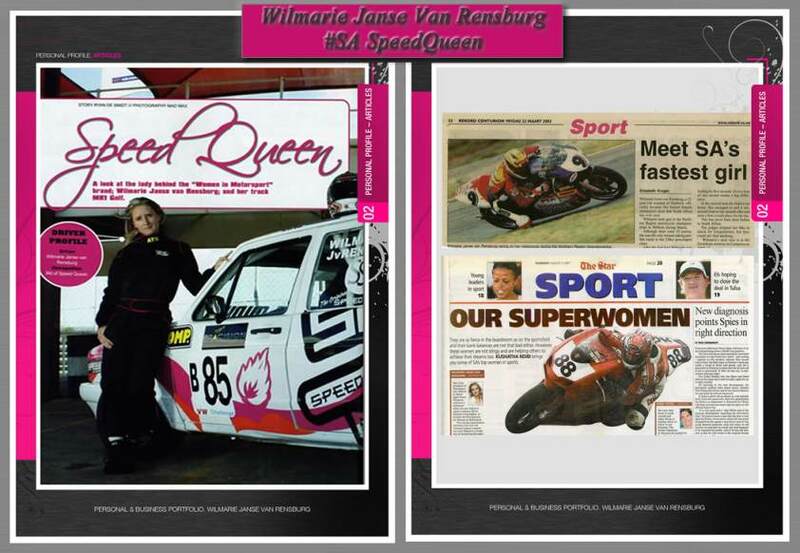 Wilmarie chose not to be limited by the Father-Son stigma attached to motorsport, instead she pushed boundaries by going the extra mile as President of SA Women in Motorsport Panel and starting her own Rider & Driver Training Academy for Men and Ladies in 2004 (SpeedQueen Racing Academy). 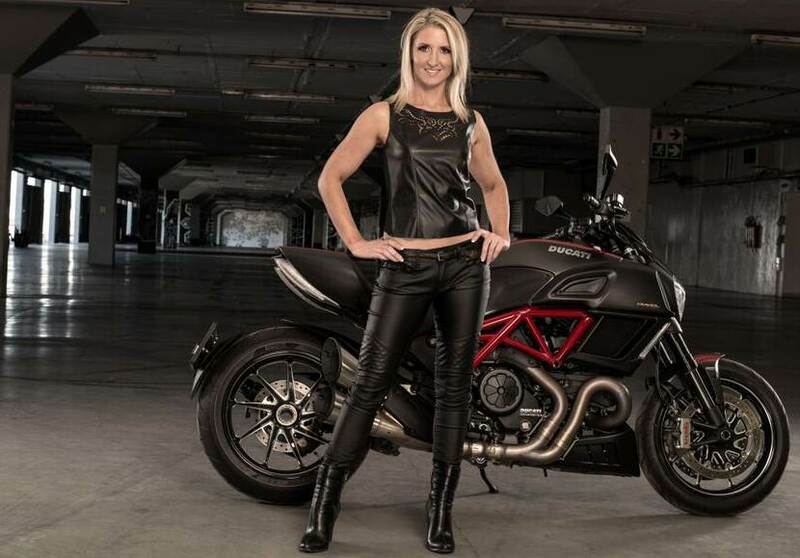 After 17 years of racing motorcycles and cars, she also decided to start a professional stunt company (SheDARE.co.za) for women in various extreme industries giving them the opportunity to work and enjoy extreme challenges for movies and/or other entertainment opportunities. Apart from being the first Woman to race a superbike and win on it in South Africa, Wilmarie’s passion was also to open doors for other ladies enabling women from all walks of life to pursue their motorsport dreams. Wilmarie’s active and passionate approach to making a difference has give her the opportunity to be a guest speaker on various local as well as international platforms, inspiring men and women of different age groups. Considering her profile to date, many would say she’s achieved her goals, but Wilmarie has made it clear that she has no intention of slowing down and that she gains her personal strength and inspiration from her relationship with Jesus Christ. 2015 – Presenter for the first motor show on CliffCentral.com .CliffCentral.com is owned by Gareth Cliff and is an international platform through live streaming.